Roy Tomomichi Sumi is recognized as a master of bonsai and the traditional Japanese garden, being an educator, designer and builder. Born in Yonago-shi, Tottori-ken, Japan, his family lived in Osaka before he moved on his own to Vancouver in 1925, returning to Kyoto for four years at the Ikeda Institute to pursue his studies in bonsai and landscaping. On his return to Vancouver he worked as a gardener and as a carpenter during the off seasons prior to the Second World War. With the mass evacuation of the Japanese from BC’s West Coast, Roy and his family were interned in Tashme, Rosebery and New Denver. Following the war, the family moved to Montreal, then returning once again to Vancouver in 1954. Roy designed and constructed many private and public gardens predominately in the Vancouver area, but also in various landscaping projects in BC, Alberta and Saskatchewan. He was instrumental in the construction and later maintenance and development of the Nitobe Memorial Garden in UBC, as well as designing the traditional Japanese gardens surrounding the adjoining Asian Studies building. In 1990 in recognition of his efforts he was one of only seventy-five recipients of the University of British Columbia’s 75th Anniversary Medal awarded “to persons who have made a significant contribution to the University” and performed their duties with extraordinary distinction.” In 1987 Roy was awarded the medal of Zuihosho by the Emperor Hirohito of Japan for his contributions to his community and for promoting the cultural interest of Japan in his work. In 1994, at the age of 85, Roy designed and oversaw the creation of the Heiwa Teien (Peace Garden) that surround and enclose the buildings at the Nikkei Internment Memorial Centre in New Denver. 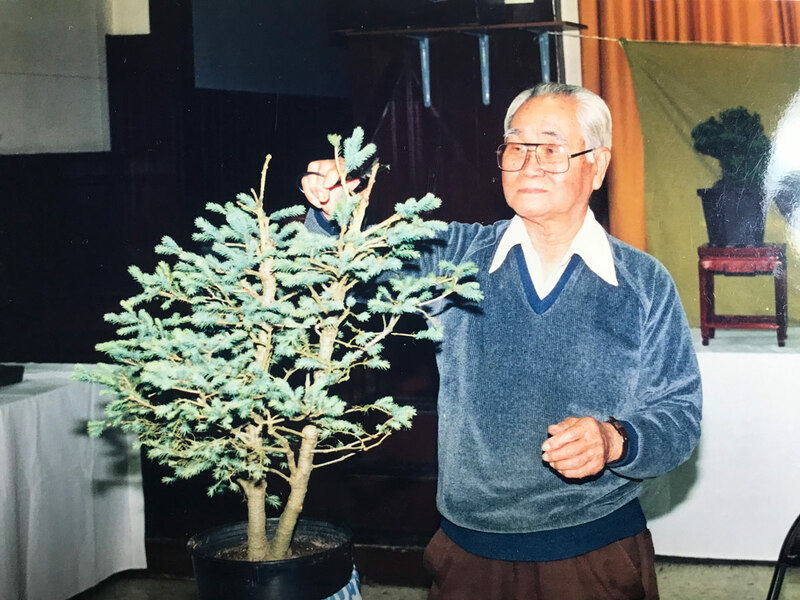 His other accomplishments were being a founding member and First President of the Vancouver Japanese Gardeners Association, and establishing the first bonsai club in Vancouver, the Vancouver Sumi Bonsai Club. Haiku was also a deep, and lifelong interest in which he wrote and taught. Roy passed away in 1997 at the age of 88.